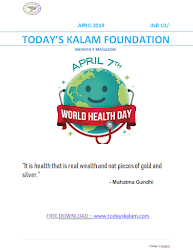 Born in a simple Brahmin family approximately in the 8th century A.D in Kaladi, Kerala, he was named as Shankara and is considered to be the incarnation of Lord Shiva. It is said that Shankaracharya's mother Aryamba had a vision that Lord himself told her that he would incarnate in the form of her first-born child. Right from childhood he showed a penchant towards spiritual knowledge. He could easily recite the Puranas and the Epics and mastered the Vedas during his early years in Gurukul. Adi Shankara's teachings were thoroughly adopted by his disciples later on. Right from childhood, Shankaracharya was interested in Sanyasa and wanted to lead a meaningful life detached from the worldly pleasures. Once, while taking a bath in Purna River, Shankaracharya was attacked by a crocodile. Though his mother wanted to rescue him, she could not and was helpless. Seeing the haplessness of his mother, he asked her permission for letting him renounce the world. She was left with no choice but to agree. As soon as he recited the mantra, the crocodile left him. Shankaracharya began his life as an ascetic from then on. He proceeded towards further down south of India in search of a Guru. One fine day on the banks of River Narmada he met a man named Govinda Bhagavatpada. Since Shankaracharya was much learned about the Vedas and the Puranas, Govinda Bhagavatpada agreed to be his Guru for attaining spiritual knowledge. Under his tutelage, Shankaracharya gained expertise in different forms of Yoga that included Hatha, Raja and Jnana yoga. He then received the knowledge of Brahma. 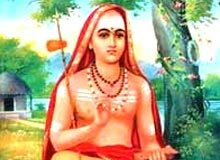 Thereafter he was known as Adi Shankaracharya whose sole purpose of life was to spread the teachings of Brahma Sutras all over the world. Adi Sankaracharya believed in the philosophy of "non-dualism". He believed in the fact that every individual has a divine existence, which can be identified with the Supreme cosmic power. Though bodies are diverse, the soul is one. The moment someone believes that the concept of life is finite; they are discarding an entirely higher and different dimension of life and knowledge. Self-realization is the key to attain Moksha and connect with God. Though he died young, he left an invaluable treasure of spiritual knowledge for future generations.